THE ISPCA IS appealing for people to come forward and adopt rescued cats in a bid to free up space in their cattery before Christmas. It said that its cattery is now full to capacity with over 50 cats and kittens needing good homes. So far this year, 351 cats and kittens have been responsibly rehomed from the centre, 207 of which originated from an ex-research facility, with 144 being seized by or surrendered to inspectors. 50 cats remain at the ex-research facility and the ISPCA would like to be able to remove them before Christmas. 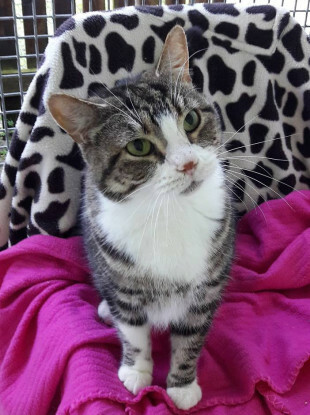 The charity is appealing to members of the public to consider adopting one of these friendly cats if they are considering getting a new pet. All the cats are fully vet checked, vaccinated, treated for parasites, litter trained, neutered or spayed and they will need to be rehomed as indoor cats only. Eva Ellis, ISPCA centre manager ,said: ”These adorable cats will make wonderful pets plus they are naturally independent making them perfect companions for people with busy lifestyles. They love nothing more than to sit on a lap and be cuddled plus the mere act of stroking a cat has been known to release endorphins in our brain associated with well-being and happiness, linked to lowering blood pressure as well as lowering the risk of heart disease. We are however struggling to find new owners to adopt these gorgeous cats and with so many in our care, we are under pressure to find room to take in an additional 50 cats due to be removed from ex research laboratory by the end of December. Email “ISPCA urging public to come and rehome cats who were used at research facilities”. Feedback on “ISPCA urging public to come and rehome cats who were used at research facilities”.